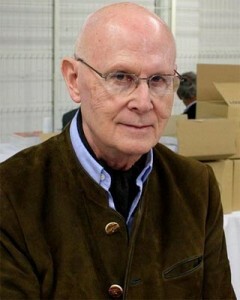 On May 21, 2013, French author Dominique Venner, whose writings have featured prominently at Counter-Currents/North American New Right, entered the Cathedral of Notre Dame in Paris, placed a sealed envelope on the altar, and shot himself in the head. Surely the contents of the envelope will explain his reasons fully, but his last post on his website (now offline) reads like a suicide note and indicates that he hoped to turn the attention and momentum of France’s massive and ongoing protests against gay marriage legislation toward stopping a far greater threat: non-white immigration, particularly Muslim immigration from North Africa. I wish to thank John Morgan for providing me with a copy of this text. Protesters on May 26 [against France’s recently passed “gay marriage” law] will cry out in their impatience and anger. An infamous law, once passed, can always be repealed. I just listened to an Algerian blogger: “In any case,” he said, “in 15 years the Islamists will be in power in France and will remove this law.” Not to please us, we suspect, but because it is contrary to Sharia (Islamic law). This is the only superficially common point between the European tradition (that respects women) and Islam (which does not respect them). But the bald assertion of the Algerian is chilling. These consequences will be far greater and more catastrophic then the detestable Taubira law. It should be clear that France may well fall into the hands of the Islamists. For 40 years, politicians and governments of all parties (except the National Front), as well as employers and the Church, have been actively accelerating Afro-Maghrebi immigration by every means. For a long time, great writers have sounded the alarm, beginning with Jean Raspail in his prophetic Camp of the Saints, the new edition of which is experiencing record sales. The May 26 protestors cannot ignore this reality. Their struggle cannot be limited to the rejection of gay marriage. The “great replacement” of the population of France and Europe, denounced by the writer Renaud Camus, is a far more catastrophic danger for the future. It is not enough to organize polite street protests to prevent it. This is a real “intellectual and moral reform,” as Renan said, and should be conducted as such from the start. It must make possible the recovery of French and European memory of our identity, the need for which is not yet clearly perceived. It certainly will require new, spectacular, and symbolic gestures to stir our somnolence, shake our anesthetized consciousness, and awaken the memory of our origins. We are entering a time when words must be authenticated by deeds. We should also remember, as brilliantly formulated by Heidegger in Being and Time, that the essence of man is in his existence and not in “another world.” It is here and now that our destiny is played out until the last second. And this final second is as important as the rest of a lifetime. That is why you must be yourself until the last moment. It is by deciding, truly willing one’s destiny, that one conquers nothingness. And there is no escape from this requirement, because we only have this life, in which it is our duty to be fully ourselves — or to be nothing. Published: May 21, 2013 | This entry was posted in North American New Right and tagged articles, Dominique Venner, France, gay marriage, Johnson translation, Martin Heidegger, non-white immigration, North American New Right, originals, suicide, translations. Both comments and trackbacks are currently closed. In France, the series of mass demonstrations against the gay marriage law has been similar to the Tea Party Movement in the USA. It is admirable that they managed to rally so many people. There was obviously no cooperation from the media. Gay marriage had been in the political program of François Hollande, when he was elected president last year. A few months ago, the media published a few phony opinion polls stating that most people now agreed with the idea of gay marriage. Then a bill was introduced in the parliament while demonstrations were taking place against it. It has now become a law. The protest movement is similar to the Tea Party Movement because it mostly rallied White people who should really be White Nationalists. If people are afraid to demonstrate against race-replacement, maybe they could get organized around a pretext like opposition to gay marriage. But the organizers refused to give a loudspeaker to pro-White politicians who were taking part in the demonstrations. Instead, they tried to put non-White participants in the spotlight. Besides, the most conspicuous organizer of the demonstrations was a somewhat crazy woman who goes by the name of “Frigide Barjot”, which means “Frigid Crazy” and is a wordplay on Brigitte Bardot’s name. Maybe that protestation movement was useful in helping some White people understand that the government and the media want to destroy them. But the organizers would never dream of saying out loud that the gay marriage law is another attack from the Jewish media and government against White society. Maybe they don’t even understand that. Now, the protest movement will probably fizzle out after next sunday. In my opinion, the real culprits are not employers and the Church. And the real problem isn’t islam, no matter what the neocons say. But I totally agree with Venner that the “great replacement” is a far more catastrophic danger than gay marriage. It’s a shame that we cannot get people to demonstrate against that. This is all well said. I do not know Venner’s views on the Jewish problem, but the French political parties, businesses, and churches bear a great deal of guilt for the immigration problem. Frankly, I want every mainstream Right wing “cause” to be defeated by the Left: opposition to gay marriage, opposition to abortion, opposition to gun control, opposition to socialized medicine, etc., etc. Why? Because these are all distractions from the one great battle of our time: stopping the genocide of the white race. For many of these Ned Flanders types, they truly believe that once they’ve won on these fronts—they tend to equate these social policies with the culture war—all will be hunky dory. Many pro-white Christians I know seem to forget all racial loyalty when it comes to gay marriage, for example. They see THE fight as putting together the next Flanders’ rally in support of traditional marriage. As you say Greg, these right-wing “causes” are such distractions! Unfortunately, heterosexuality, the “right to life” and gun ownership aren’t the preserve of the white race… Once again we see the universality of Christianity trumping the particularity of soi-disant racialists! What remains for us to do is continue in our metapoliticking, disseminating ideas and creating real world communities. Hopefully the Flanders’ won’t be too burned out after their “causes” have all been defeated to not want to finally shake their delusions and join in the real fight. Techne is important too. Love the First Ammendment? Then love the Second which guards it. And only corrupt politicians ever promise that the Police can protect the people. Protection is a matter of personal responsibility first. Surely our personal survival has something to do with White Nationalism. And if armed individuals join together, that is the begining of real power. According to Joe Biden, opponents to gay marriage have given up and gone the way of the Dodo bird, thanks to the 85% Hebrew controlled entertainment industry. So, Dr. Johnson that’s one mainstream conservative cause out of the way. It may not be too long now. As an Incarnate, Venner could have done so much for us. As a Discarnate, he has a lot of work to do, and we can only hope be is being counseled by Jonathan Bowden a to what needs to be done, and how best to do it. It just may be that other factors weer a work here; he may have had a painful, incurable medical condition, and decided to sacrifice a life of deep, eternal pain for a life of eternal peace, where he can be effective as a defender of our Race, for an eternity. That his passing will not immediately inspire the response he wanted, at least to the degree he wanted, will make our Enemies joyously happy. Alternatively, once he gets things sorted out, he might well be the new guiding light for the NF, as far as possible, and, much more substantially, and of much greater importance, he might well inspire certain members of Generation Identitaire to pursue paths of greater effectiveness, with a greater sense of purpose. He gave his life on an altar, just as he spent his life. Fortunately, in Eternity, he can be remarkable effectively, if the receptive people come along, and can accept what he has to offer. I believe they will. That last paragraph was just magnificent. It unfortunate that the media is labeling his suicide as simply a “protest against gay marriage”. This post makes it clear that he regarded the gay marriage law as merely a symptom really, of the much more important impending death of Western Civilization. Of course the media will see this as a protest against homosexualist marriage. I’m all for dramatic action but DIRECTED action that maximises understanding and result. We have many intelligent people who write and comment on this site, so let’s not now shy away from maybe accepting that sometimes we are just a little too clever and a little too self referential in our thoughts and ideas. The Liberal media are NOT that clever enough to to do anything but fall upon the usual way of reporting the actions of the “lone white man gone nuts” – so how can the suicide of a lone white man be SEEN as anything other than that… the subtlety of his act is not part of how modern Europeans and Americans think and talk. How is Venner’s suicide then to be understood and made meaningful if we already know that most Europeans have only one way to understand it? Metapolitics theory rests on the assumption that to make real change we first change the climate of ideas that dominate and prescribe human social reality… one suicide of yet another lone white man is not sufficient to do anything but reinforce the current view about lone nationalists. And I say again, where were Venner’s brothers? Where were his comrades in their day to day struggle against Liberalism? That is the sad thing: that he was alone when he made this decision, when he carried out his act, and that, in the final analysis, he thought the the lone individual is culturally significant. We are a people. We have meaning as a pe0ple. To those who are proud to be European, Dominique Venner is a great loss – but I suspect he had already lost us. It seems from what I have read so far that this was a revolutionary act; not just about gay marriage. Apparently, according to his publisher he has a new book called “A Samurai of the West: A breviary of the Undefeated”. — inspired by Mishima. Since his books are not translated into English, I must thank you Dr. Johnson for what you have provided here. He is a remarkable man. May the angels carry him home. Rhondda, we in Arktos were actually working with Monsieur Venner to translate one of his books into English prior to this death, namely “The Shock of History.” It should be in print by this summer. A pity there won’t be a sequel. That is good to hear. I hope more of his works will be translated into English. His piece on the liberation fighter Westerling, in particular, would prove most inspiring to our people in the overseas colonies.